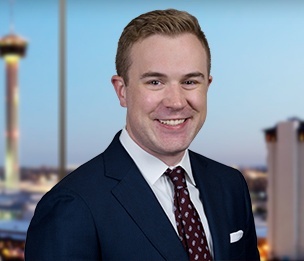 Charles D. Carter II is an associate attorney in Dykema's San Antonio office where he focuses his practice on business and commercial litigation. Mr. Carter graduated from the Southern Methodist University Dedman School of Law in May 2018. While in law school, Mr. Carter competed in several interscholastic moot court competitions, served on the Executive Board of the Board of Advocates, and received the Order of the Barristers distinction for his commitment to advocacy. He also served as a Notes Editor for SMU's Science and Technology Law Review. Mr. Carter also has experience working in the chambers of the Hon. Martin Hoffman of the 68th District Court in Dallas, Texas.